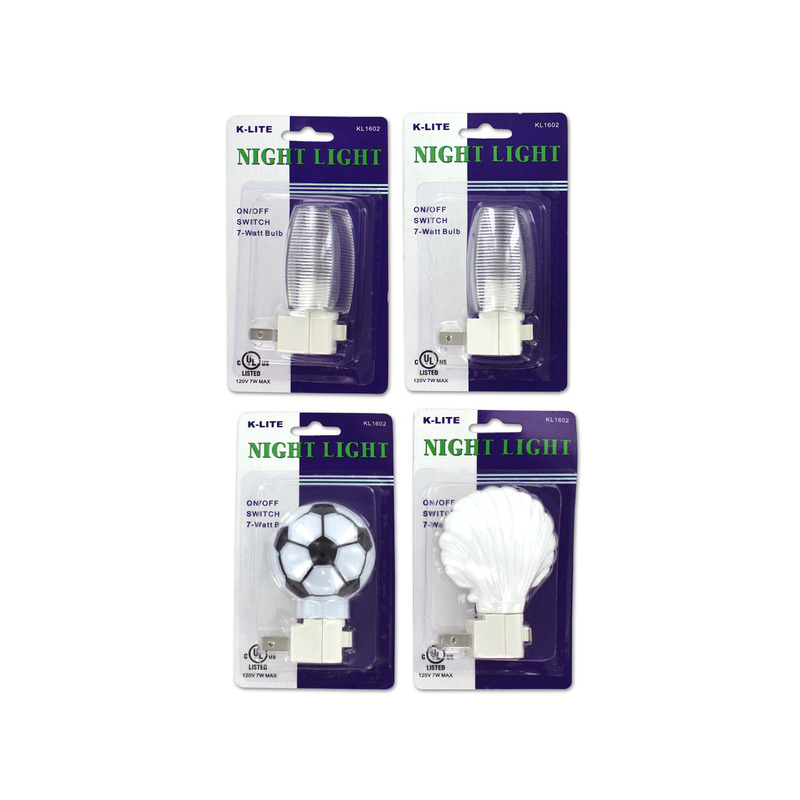 Ideal for bathrooms, bedrooms, nurseries, kitchens, hallways and more, this Night Light features a compact plug-in light in assorted styles with an on/off switch. Lights measure approximately 3.5" tall with rotating covers that vary in width from 1.375" to 2.5". Comes packaged in a blister pack.